At five years old, we crave security, familiarity and nurturance. We’re at our best when we feel the safest; well loved and cared for. We explore and we learn, but within the boundaries we know are there for us and we like that. We need people that care. We need parents, grandparents, teachers, caregivers and communities that love us and do everything in their power to help us succeed. At thirty-five, it’s about contributing, striving and most likely, providing. We’re in our prime and hopefully doing what we love. Physically and mentally strong, we run marathons, build our homes, raise our families and solidify careers. At sixty-five we reflect and relax a bit. We enjoy the fruits of our labor and soak up our grandchildren. We walk. We take up new hobbies. We travel. We have lunch with people because we can. We give of our time and talent and if we’re able, we give more. At eighty-five we share. We share our stories, our recipes, our knowledge and our company. We want to feel cherished and respected for our contributions and that we still have value yet to contribute. While sometimes it seems the world moves so fast around us it’s spinning, we need to feel that we still have a part in it. That there are stories yet to be written and lives yet to be touched. These are things we all need to live a vital life at every age. Our foundation believes that when you meet people where they are on their aging journey, miracles can happen. We support organizations and programs that create opportunities for helping people live the best, rest of their lives. No one does it quite like the Vital Life Foundation. By creating opportunities for seniors and team members to get directly involved with the organizations we work with, the results are exponential. Every dollar is both changing and affirming lives, and that’s something very special. For the best, rest of your life. 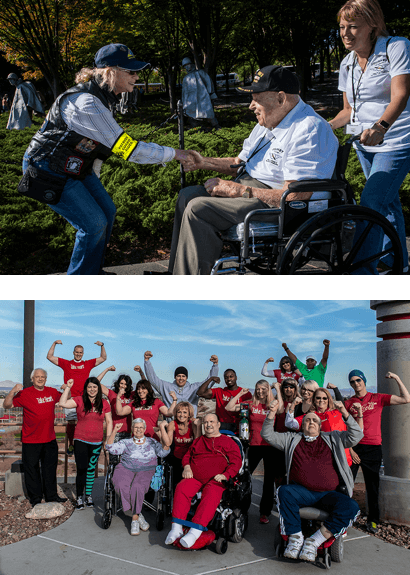 Serving seniors since 2008, Vital Life Foundation is a non-profit that brings employees, residents, charities and communities together in the spirit of philanthropy and service. It was created by Marquis, a senior care company, and its sister company Consonus Healthcare, which provides pharmacy and rehabilitation services to the senior population. The Foundation has helped over 100,000 seniors and acts as a catalyst between a number of charities whose main focus is to help seniors and our communities. Our Board of Directors is committed to upholding the mission of VLF as it oversees the distribution of funds through the grant application process. Members of our Board share a passion for helping people, and seniors especially, create the best, rest of their lives. We thank and are grateful to the Board of Directors for their service.